If your home lacks a closet for your guests' coats, you can always just get the Birdrock Home Wall Mounted Hook Rail. 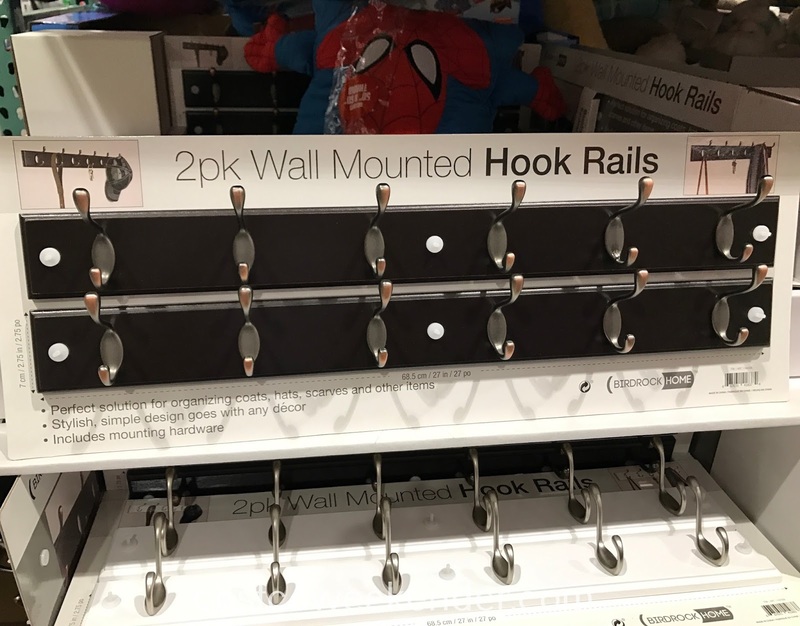 These Birdrock Home Wall Mounted Hook Rails give you a convenient place to hang jackets, coats, hats, etc. This comes in handy when you have company over. Ideally you'd hang the Birdrock Home Wall Mounted Hook Rail by the front door, so that your guests can start shedding some of those layers as they enter your house. They also allow you to utilize vertical wall space, so that you don't have to use up valuable space that a coat rack would occupy. I cannot get the white plastic pegs and cardboard off!!! Would love to use these racks but their packaging is a misery. Will have to return the mangled mess to Costco. Hello @Karee, I wonder if you could use a pair of needle nose pliers or something to remove the plastic pegs and the rest of the packaging from the Birdrock Home Wall Mounted Hook Rails. I would use a flat head screwdriver to pry the pegs away from the wood backing while using a thin piece of cardboard between the screwdriver and the wood backing so not to damage the wood before using the pliers. Hopefully this could work, so that you can hang it on your wall before having to return it. I have the same problem as Karee!! I've tried everything, including a small hacksaw. No luck getting the darn packaging anchors off. It's going back and I'll let my local Costco try to get it unpackaged. I thought it was just me! Not sure if I'm sending it back or not yet. It's apparent that numerous people have the same problem with the packaging. 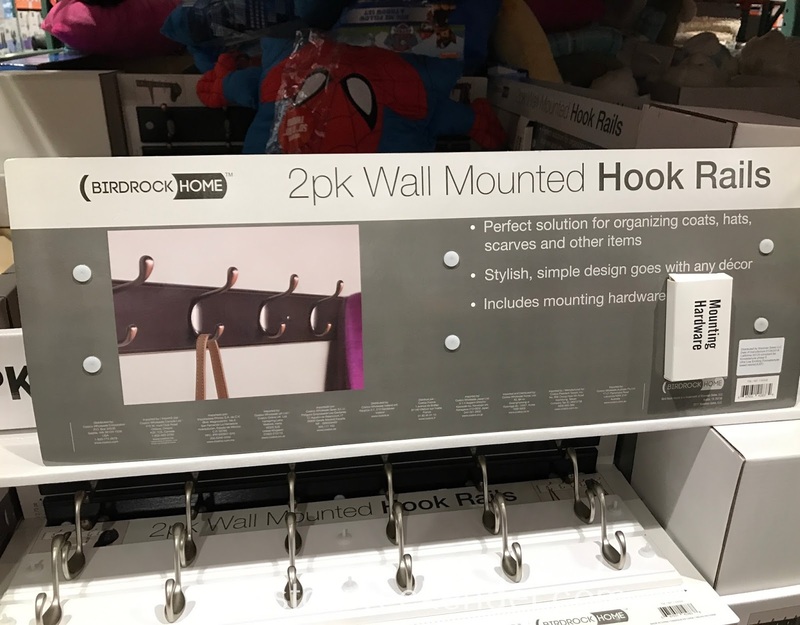 The packaging for the Birdrock Home Wall Mounted Hook Rails poses a bigger issue than I originally thought. It's a shame that people are turned off by the packaging and the inability to get the item out of it that they would return an otherwise decent product. The manufacturer should really address this product's packaging before selling it to the public. I had the same problem and I just figured it out. Take a pair of pliers and snap off the little pointy pieces of plastic. Then just pull...popped right off! Thanks @Wendy for sharing your experience taking the Birdrock Home Wall Mounted Hook Rails out from its packaging. I'm glad that you had no problem removing the packaging, and I'm sure people reading this will find your tips helpful. absolutely horrible packaging, I almost cut myself trying to cut the circle pegs with a box cutter! going back to Costco. They shouldn't be selling with this packaging. Yes, I agree @tivoli. The packaging for the Birdrock Home Wall Mounted Hook Rails is just so unnecessary on an otherwise decent product. The manufacturer should really go with a minimalist approach when it comes to packaging. Yep, you're definitely not the first person to have issues opening the Birdrock Home Wall Mounted Hook Rails, and you probably won't be the last, @Rachel. After reading all the comments (thank you by the way!) we snipped off the pointy piece with a wire cutter, then pried the round pice off of the back of the packaging. Worked really well. Good luck. It's good to hear that you had no issue removing the Birdrock Home Wall Mounted Hook Rails from its packaging, so that you can start using it in your home, @Costco_gal. What was the packaging designer thinking?! After 20 minutes of trying to figure out how to remove the plastic attachments, I came online to search for an answer. My solution: After trying other's suggestions, including snipping off the post ... which didn't work for me ... I used a butter knife (because it has to be thin enough to fit under the flush round piece) and pried off the plastic pieces from the back side. All six went flying somewhere and I have yet to find five of them, so make sure you point away from your face, anyone else within range and not toward anything breakable. Hopefully, someone finds this helpful. Ya, who knows why the manufacturer would make the packaging this way, @Anonymous? 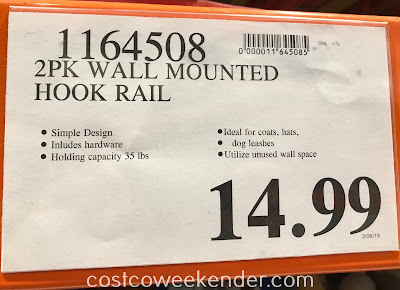 I'm sure someone who just purchased the Birdrock Home Wall Mounted Hook Rails will find your tip helpful when removing it from its packaging. It's a good thing you were able to get the item out without losing an eye or something. Maybe the manufacturer should include a free pair of safety goggles if they aren't going to change the packaging.